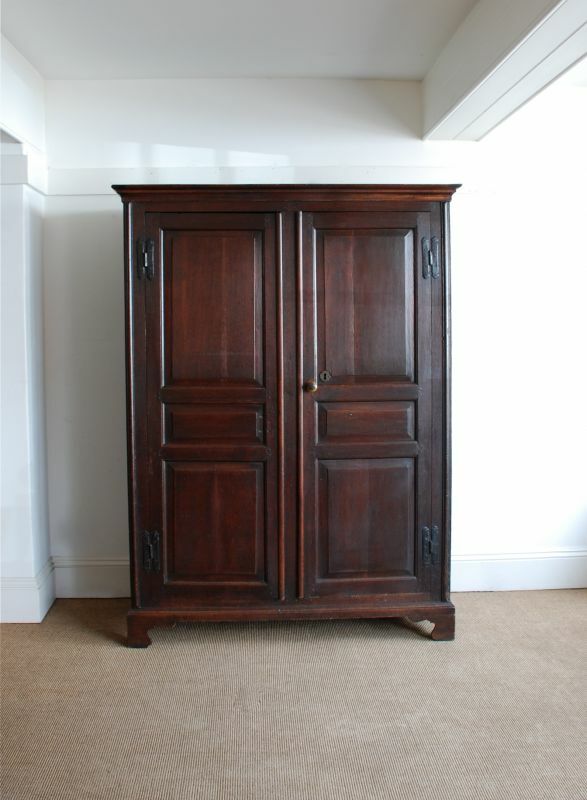 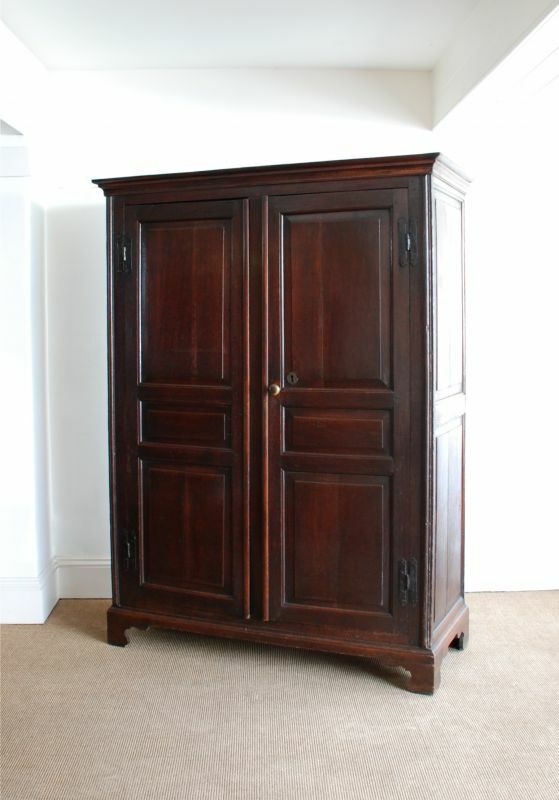 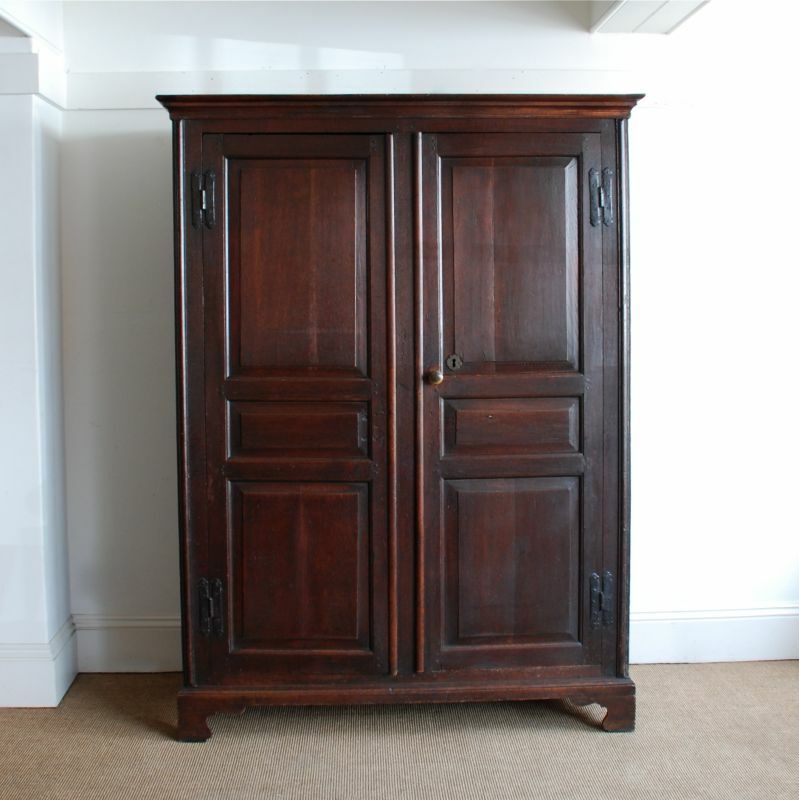 This is a good looking, English, well balanced oak housekeepers cupboard from the early 18th century. It is a practical piece of furniture with plenty of storage space. 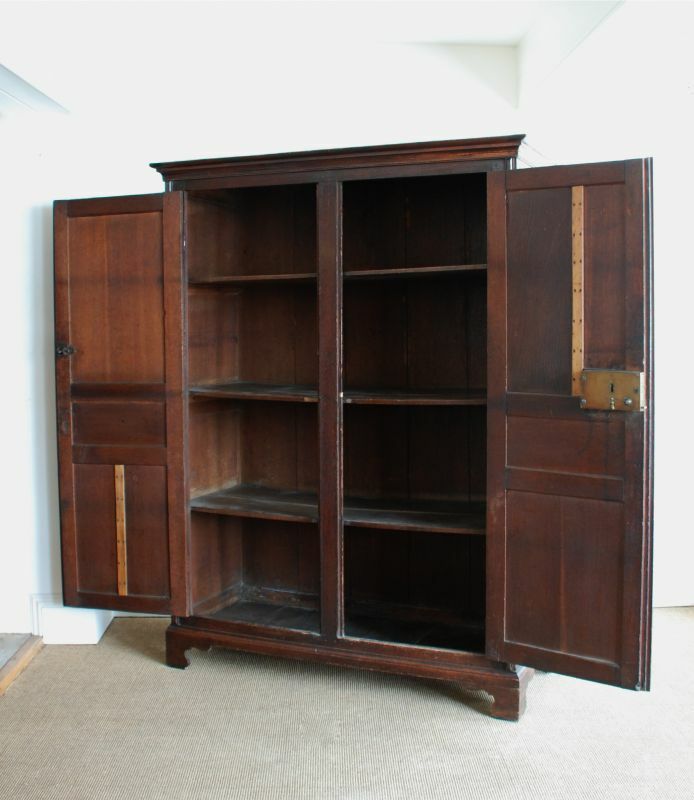 It has four original shelves on the inside, you can see where the maid has washed the shelves over the years and has therefore bleached the sides. 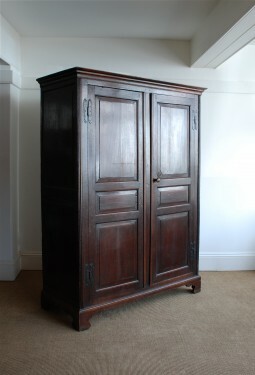 The front has six fielded panels, even the sides are panelled - so often they were planked. 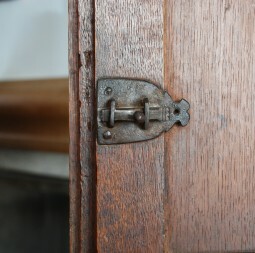 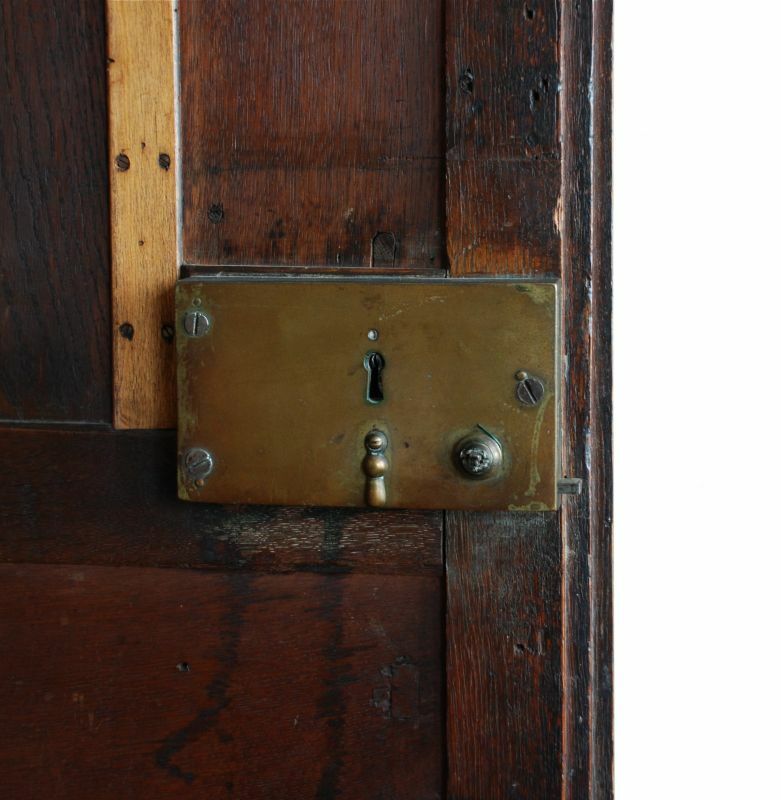 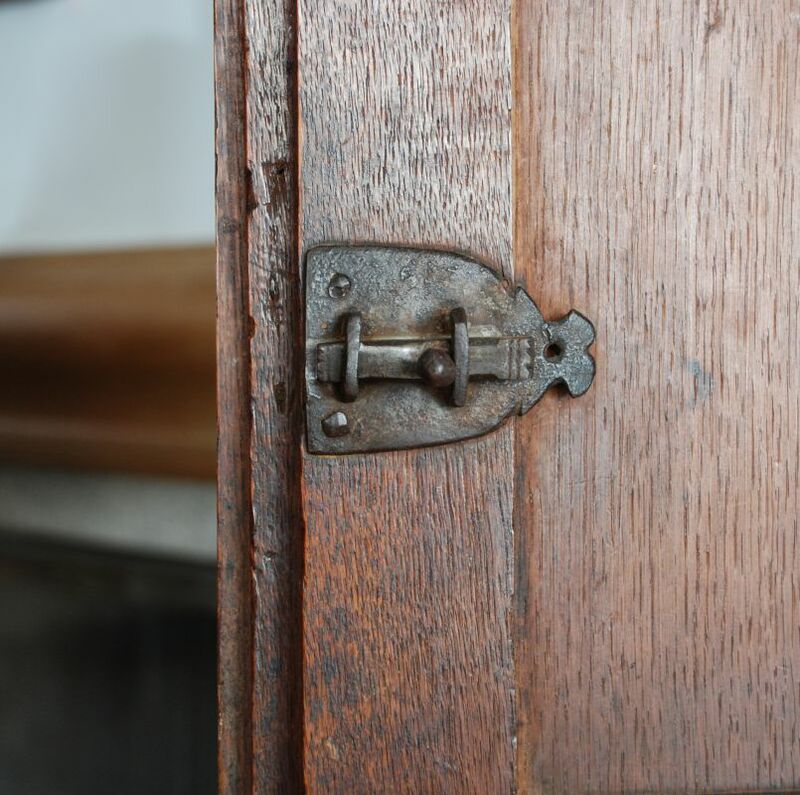 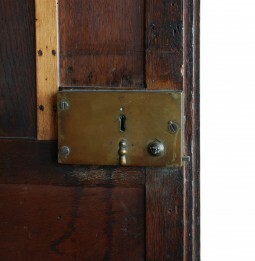 The doors have very decorative iron hinges and inside there is a beautiful blacksmith made latch. 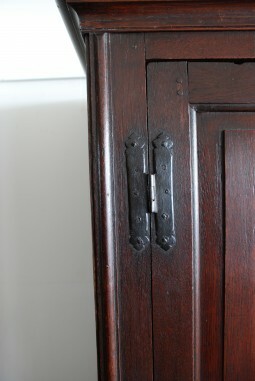 As you would expect, the base boards run front to back and the whole stands on bracket feet. The measurements are 135 cm wide, 57 cm deep and 180 cm high.